At first glance these Kokeshi doll cookies may look difficult to make, but with a few tips they really are simple to ice. Time-wise they took a little longer than the average cookie I decorate, hence the fast-forwarding in the video below, but the Kopykake projector made it easy for a drawing-challenged person like me. In my FAQ section, where I first posted these cookies, I shared a basic how-to on making them, and today I’ll go into more detail with a video on the first Kokeshi. I’ll be making 4 more videos to cover each of the dolls. 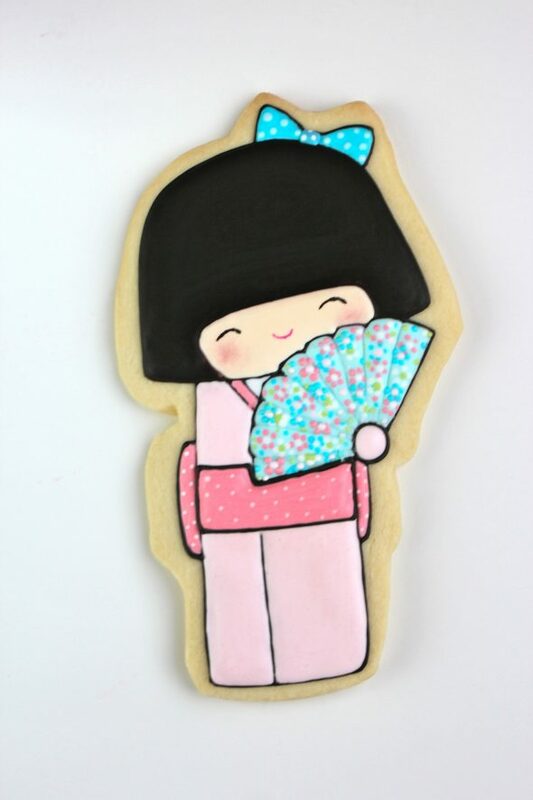 Thank you so much to author of the Kokeshi Kimono Book , Annelore Parot, for the cookie design! Her work is simply adorable, and besides publishing several kokeshi-themed books and journals, she even has a site dedicated to her Kokeshi dolls. I changed the color palette and patterns a bit, because the tiny print patterns were a bit difficult for me to achieve on a small cookie. If you’re interested in trying these, one thing which could work, would be to print the patterns out on edible ink paper link – that way you’d have an exact match! Use a recipe of your choice as your cookie base (I used my sugar cookie recipe) and cut out the custom shapes with a paring knife. I used Annelore’s images from her book and enlarged them with a Kopykake projector to get the size I wanted, drew an outline and cut out the templates. Once the cookies are baked and cooled, plane down any rough edges with a microplane rasp zester and dust off with a pastry brush . To decorate, you’ll need royal icing and the items listed below. *The Kopykake projector has been invaluable to me – I can easily create sugar art without being able to draw images freehand. If you don’t own one, you can find alternatives in the question section of this post. You can find basics on how to outline and flood cookies etc. in the tutorial section above or on my YouTube channel. Please leave me feedback here and let me know if you’d like audio explanations in the video, or if you’d like a personal introduction and/or ending, explaining a little more, or do you like jumping right into the how-to. 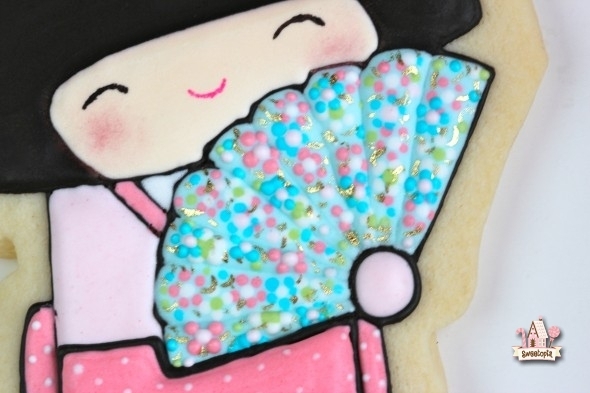 I absolutely adore this cookie AND video! I love how you share every little detail with your readers – it’s really helpful for all the cookie decorators out there! Those are sooo cute! Such a lot of work for that fan, but so worth it! Karen, you are so funny! You never fail to make me laugh! (If you ever do it, I would like to see a picture of your flooded cat). wow…. you just blow me away!!! You make it look so easey! 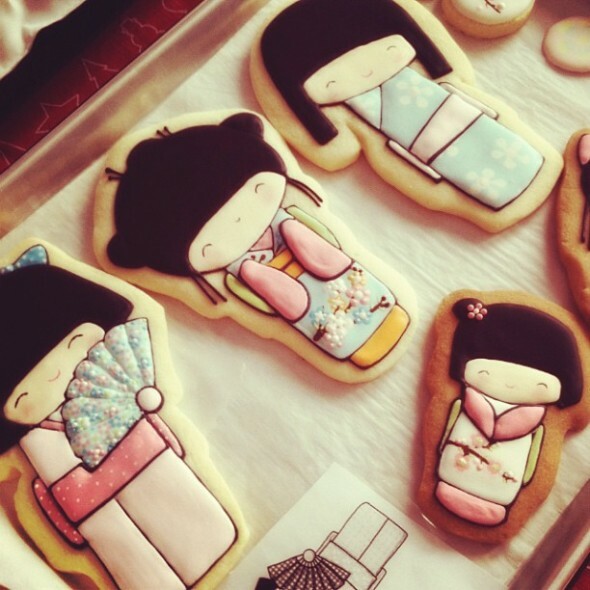 I love the Kokeshi Doll Cookies. Looking forward to the next session! Hope you had some time to enjoy the Thanksgiving weekend. Thank you for sharing all your talents. Ha ha, I don’t know about those nerves of iron Maria Theresia, but thanks! Maria is right: you do make it look so easy! Yay! Marguerite, I’m so glad you tried some autumn cookies and they were a success! Amazing…I smiled the whole time watching it! Beautiful!!! Thanks for sharing! Awesome looking cookies, thanks for sharing how to make them! 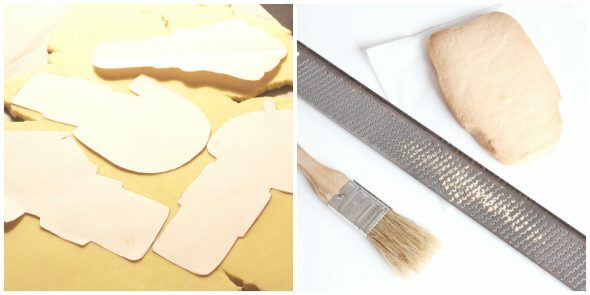 I use your icing recipe all the time; it’s fail-safe and my go-to formula for decorating cookies. 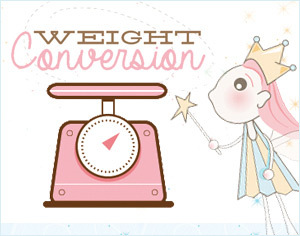 I have a quick question about the doll templates. Did you use stiff craft paper/cardboard/plastic to make cut-outs of the shapes? I’m just wondering what material you used that could hold up to being repeatedly laid over the cookie dough while cutting out the outline with a paring knife? Thanks for sharing! I use regular paper or stiff craft paper – whatever I have on hand. The regular paper definitely is harder to work with and the cookie grease soaks into it quickly, but it does in a pinch. This came at exactly the right time! I have a customer who is doing a Kokeshi doll themed baby shower on the weekend! Using your photos and tutorial together with her colours for the party 🙂 they are just waiting for their faces! How awesome is that! Would love to see a pic if you’d like to share a link to one on line!